Our UX Specialist, Michal Matlon, joined the conferences Workplace Trends in London and FUTURE Workplace Summit Barcelona at the end of last year where he talked about different approaches to space and how to get the most out of it, bearing the final user in mind. Using a human-centric approach, intrinsic to our team of consultants and architects called Origameo, we build tailored workspaces based on interdisciplinary knowledge of working environments as well as by thoroughly analyzing client companies. One of the major questions to be answered at the very beginning is: Who are the people using the space and what is the nature of their jobs? There is one key feature to be considered: concentration. Research suggests that the presence of humans and the noise they make are the most distracting factors in the workplace. A typical office user can only focus for about 23 minutes at a time and it takes 11 minutes to regain this focus after being distracted. This can be challenging with the open space concept as so many things are happening at once. 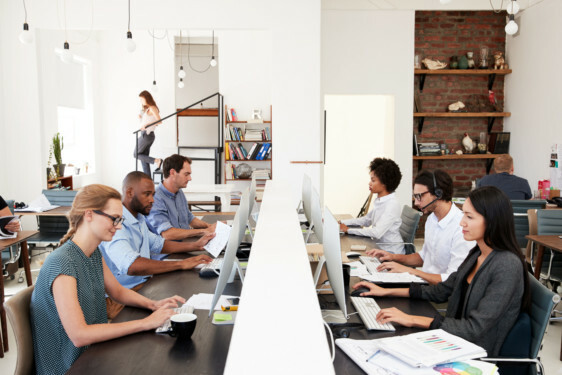 Open spaces are considered the most suitable for routine and low focus work. On one hand, it helps employees to stay connected with their co-workers and be integrated into the group. On the other hand, open spaces might lead to slowing personal dynamics down due to the bustling surroundings. The ideal space does not exist, but we may come close to it. Research about workspaces, the analysis of space utilization, as well as employee and employer expectations can result in well-fitting, custom-made workspace designs. Such designs draw heavily on measurements and data about the client company. These not only tell us how to divide the space based on the nature of the work, but also take into consideration the people in the company and their activities. One company may end up with a big open space and a couple of focus rooms while another may have a semi-open space with closed offices for specialized teams. 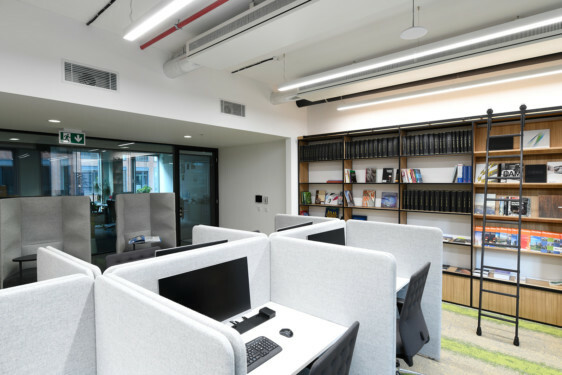 Dividers, shelves and movable walls full of greenery can create acoustic and visual shelters for individuals or groups which boost their dynamics and productivity. The variations of spaces and their combinations are endless, as are business types and the structure of employees.